Tired of the standard traditional new home designs? Then you're gonna love the edgy style and modern open floor plan at 922 Cleveland. Character abounds in this "black and white" themed home with an industrial/modern vibe. You'll enter into a light-filled great room with views all the way through to a huge rear deck perched above a gracious back yard. The crisp white cabinets and warm gray counters in the kitchen set the stage for entertaining at the massive center island. Cooks will LOVE the full-size refrigerator & separate full-size freezer, and double ovens! A main-level master suite is strategically placed for privacy but has easy access to the laundry and main living areas. Upstairs are 3 over-sized bedrooms including one that could be used as a second master suite and two that share a Jack-n-Jill bath. There's also a walk-out lower level with a large rec room (still being completed), bath, and rear patio. 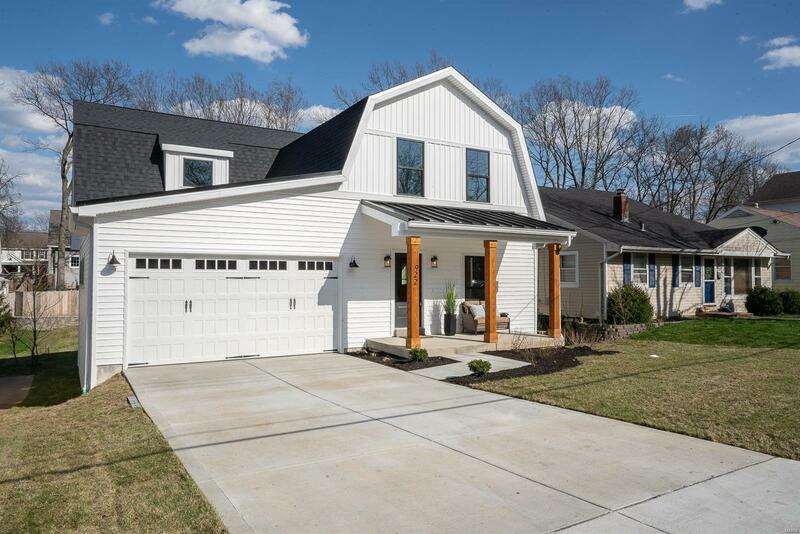 This is truly an amazing and unique home on a block w/ many new homes.